Common name: (botonical name): Flavor – other information. Please note: While the flowers mentioned in this edible flowers list are edible, other parts of the plants mentioned in this list may be poisonous. Know what you’re eating! Also, be sure that no pesticides of other potentially harmful substances have been applied to the plant. Avoid plants growing along the sides of roads as they may have absorbed toxins from passing traffic. 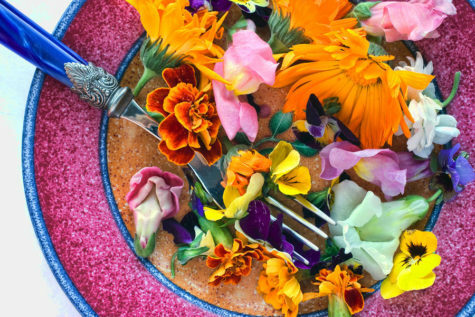 Be sure to read The 10 Commandments of Edible Flowers before experimenting. Begonias Tuberous (Begonia X tuberosa): citrus-sour – Stems can be used in place of rhubarb. The flowers and stems contain oxalic acid and should not be consumed by individuals suffering from gout, kidney stones, or rheumatism. Begonias Wax (Begonia cucullata): – The fleshy leaves and flowers are edible raw or cooked. They can have a slight bitter after taste and if in water most of the time, a hint of swamp in their flavor. Carnations (Dianthus caryophyllus – aka Dianthus): Sweet – cut petals away from the bitter white base of the flower. Clover (Trifolium species): Sweet, anise-like, licorice – Raw flower heads can be difficult to digest. Cornflower (Centaurea cynaus): slightly sweet to spicy, clove-like flavor. Dame’s Rocket (Hesperis matronalis): bitter – Often mistaken for Phlox. 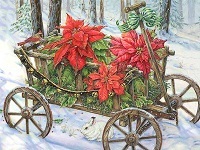 Leaves should be picked before the plant flowers. Seed can be sprouted and added to salads. Daylily (Hemerocallis spp. ): Like sweet lettuce or melon – may act as a diuretic or laxative; eat in moderation. Not to be confused with other types of Lilies which may ontain alkaloids and are NOT edible. Fuchsia (Fuchsia X hybrida): Slightly acidic – The berries are also edible. Honeysuckle (Lonicera japonica): Sweet honey flavor – only the flowers are edible. Berries are highly poisonous – do not eat them! Indian Lotus (Nelumbo nucifera): Floral, Sweet (roots), Nutty (seeds) – Every part is edible. The stamens can be dried and made into a fragrant herbal tea. Seeds are roasted to make puffs called mahkanas. The plant’s roots are ground up to make lotus meal. Johnny-jump-up (Viola tricolor): Slightly minty, wintergreen – petals have little flavor unless the green sepals are included. Lilac (Syringa spp. ): Very fragramt, slightly bitter. Has a distinct lemony taste with floral, pungent overtones. – The flavor of lilacs varies from plant to plant. Peony (Paeonia lactiflora): In China the fallen petals are parboiled and sweetened as a tea-time delicacy. Peony water was used for drinking in the middle ages. Add peony petals to your summer salad or try floating in punches and lemonades. Phlox, Perennial Phlox (Phlox paniculata): Slightly spicy taste – It is the perennial phlox, NOT the annual, that is edible. Red clover (Trifolium pratense): Sweet – raw clover flowers are not easily digestible. Rose (Rosa rugosa or R. gallica officinalis): Flavors depend on type, color, and soil conditions. Flavor reminiscent of strawberries and green apples. Sweet, with subtle undertones ranging from fruit to mint to spice. NOTE: Be sure to remove the bitter white portion of the petals. Scented geranium (Pelargonium spp. ): Floral – the flavor is usually similar to the scent of the leaves, NOTE: Citronelle variety may not be edible. Tulip (Tulipa spp.) Flavor varies from tulip to tulip, but generally the petals taste like sweet lettuce, fresh baby peas, or a cucumber-like texture and flavor. NOTE: If touching them causes a rash, numbness etc. Don’t eat them! Don’t eat the bulbs ever. If you have any doubts, don’t eat the flower. Some people have had strong allergic reactions to them. Water Lily (Nymphaea odorata): Both the young rolled up leaves and flowers can be boiled for five minutes and served with butter. Yellow Pond Lily (Nelumbo lutea): The young leaves and flower buds were eaten as vegetables, roots baked and ground into flower, seeds eaten fried. Yucca Petals (Yucca species): Crunchy with a mildly sweet taste (a hint of artichoke) – In the spring, they can be used in salads and as a garnish.